A team of UTA researchers and their collaborators at Duke University, led by Chengkai Li, computer science and engineering associate professor, recently earned a three-year, $500,000 National Science Foundation grant to expand ClaimBuster, a tool they developed to verify facts reported in the media, to include new forms of media and publications and to automate the process as much as possible. Mark Tremayne, an assistant professor in UTA's Department of Communication, is co-principal investigator, and Jun Yang will lead the Duke University team. ClaimBuster monitors live discourse, social media and news to catch factual claims, and then detect matches with a curated repository of fact-checks from professionals. The system then delivers the matches instantly to readers and viewers. ClaimBuster was used successfully during many of the 2016 presidential debates and 2017 Australian Parliament discussions on national topics. Li plans to further develop the tool to automatically check various types of new claims that have not been checked before against knowledge databases and report if they are truthful. For novel claims where humans must be brought into the loop, the system will provide tools to assist professionals and laypersons in understanding and vetting those claims. "Currently, ClaimBuster pays a lot of attention to one particular step in the process of fact-checking — identifying factual claims that are worth checking," Li said. "With the new grant, we will expand our effort to many components in the end-to-end system and they will work in tandem. "ClaimBuster has proved to be an effective tool in combatting fake news. If we are successful with this next step, the expanded tool could have a large impact on many areas of society beyond print, broadcast and social media." Tremayne, who researches online journalism and the industry's continuing transformation, said one aspect that makes the research challenging is that the volume of news has increased considerably, making automation of some aspects of fact-checking desirable. "With thousands of sources of information offering their own versions of the truth, using computational journalism techniques to help readers sort through it makes sense," Tremayne said. "Also, putting claims in context can help people understand the broader picture, even if a statement is partly true." The team will model factual claims and produce internal representations, then create taxonomies of claim templates in different domains. Next, the team will devise novel methods for translating claims into structured queries, keyword queries and natural language questions which will be compared with the answers embedded in the claims themselves, to verify if the claims check out. Finally, they will develop methods to find counter-arguments to claims and interesting "factlets" from datasets that will allow them to identify "cherry-picking" claims that are correct but misleading. For example, The Weather Channel criticized Breitbart in December 2016 for cherry-picking data after Breitbart claimed that, "global land temperatures have plummeted by one degree Celsius since the middle of this year – the biggest and steepest fall on record." The Weather Channel said the truth is that "this number comes from one satellite-based estimate of temperatures above land areas in the lower atmosphere. Data from the other two groups that regularly publish satellite-based temperature estimates show smaller drops, more typical of the decline one would expect after a strong El Niño event. Temperatures over land give an incomplete picture of global-scale temperature. Most of the planet – about 70 percent – is covered by water, and the land surface warms and cools more quickly than the ocean. Land-plus-ocean data from the other two satellite groups, released after the Breitbart article, show that Earth's lower atmosphere actually set a record high in November 2016." Li hopes to expand ClaimBuster's use to verify information in narratives, discourses and documents such as sports news, legal documents and financial reports. It has a large base of potential users including consumers, publishers, corporate competitors and legal professionals, among others. It could directly benefit consumers by improving information accuracy and transparency. ClaimBuster also will help news organizations accelerate their fact-checking process and ensure the accuracy of their own news stories. Businesses could use it to identify inaccuracies in their competitors' and their own reports and press releases. It also could assist professionals such as lawyers in verifying documents. Li, Tremayne and Christoph Csallner, associate professor of computer science and engineering, also are building computer tools to detect social bots within the worldwide web that create and spread fake news through a project funded through the Texas National Security Network Excellence Fund out of the University of Texas at Austin's Clements Center for National Security and The Robert S. Strauss Center for International Security and Law. "People have more sources for news and information than ever before, and the proliferation of fake news in recent years makes it difficult to sort through what is real and what isn't. 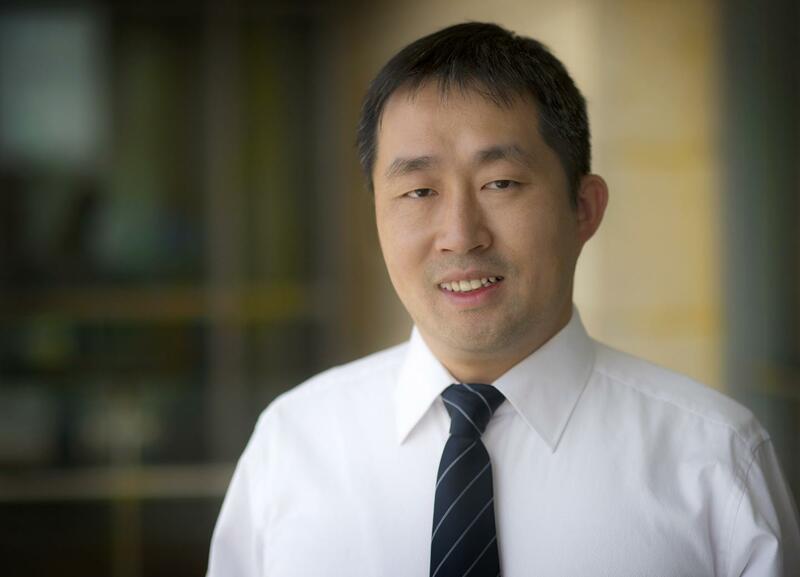 Dr. Li and his collaborators have made great strides in helping people verify what they hear or read in the media, and the expansion of this service to business and professional interests is an important next step," said Peter Crouch, dean of UTA's College of Engineering. This project embodies the data-driven discovery platform under UTA's Strategic Plan 2020: Bold Solutions | Global Impact.